When Volkswagen was established, its goal was to be the people’s car (thus, the name). This meant that it had to be stylish, affordable, and efficient—and most importantly, be suitable for nearly anyone, no matter if they lived in the heart of a giant city or out in the quiet country. The Volkswagen Beetle was one of the first models introduced, and it was incredibly unique for its time thanks to its round shape and round headlights. After enjoying the road for 70-plus years, the Beetle still retains its iconic silhouette. It is still an excellent choice for almost anyone, no matter where it the world they live. As the years have gone by, the engine (which is now located under the front hood) has become more powerful and efficient, which makes the Beetle capable of going anywhere, no matter if it is commuting around the city or along the remains of Route 66. 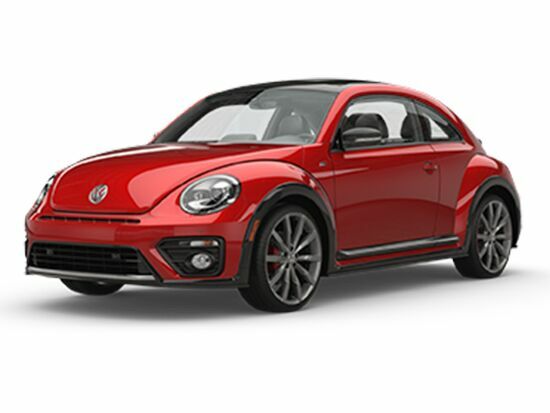 One of the best things about purchasing a Volkswagen Beetle is choosing the color! 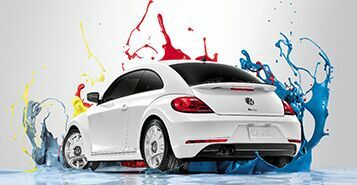 The Beetle comes in a spectrum of colors, including both neutral and bright hues. Depending on the model year, limited edition colors may be available. While the Volkswagen Beetle still sports its nostalgic exterior, the interior is incredibly modern. This is all thanks to the latest sound systems, along with an available infotainment system with optional navigation that can make the ride more fun! 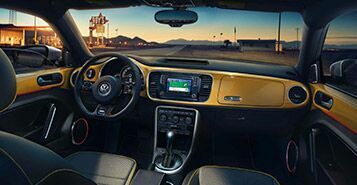 The Volkswagen Beetle has several modern safety features available, which are designed to protect its passengers and other motorists. 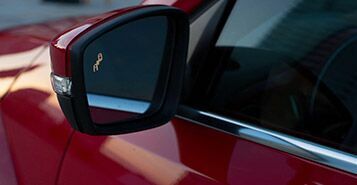 Available safety features include a blind spot monitor, park pilot (for easy parallel parking), and rear traffic alert.